Relatives and friends carried the coffin of murdered indigenous activist Berta Caceres during her funeral. TEGUCIGALPA, Honduras — Honduran indigenous leader Berta Caceres, who won the 2015 Goldman Environmental Prize for her role in fighting a dam project, was shot to death Thursday by attackers who broke into her home, authorities said. Tomas Membreno, a member of her group, the Indian Council of People’s Organizations of Honduras, said at least two assailants broke into the home and shot Caceres in the town of La Esperanza. 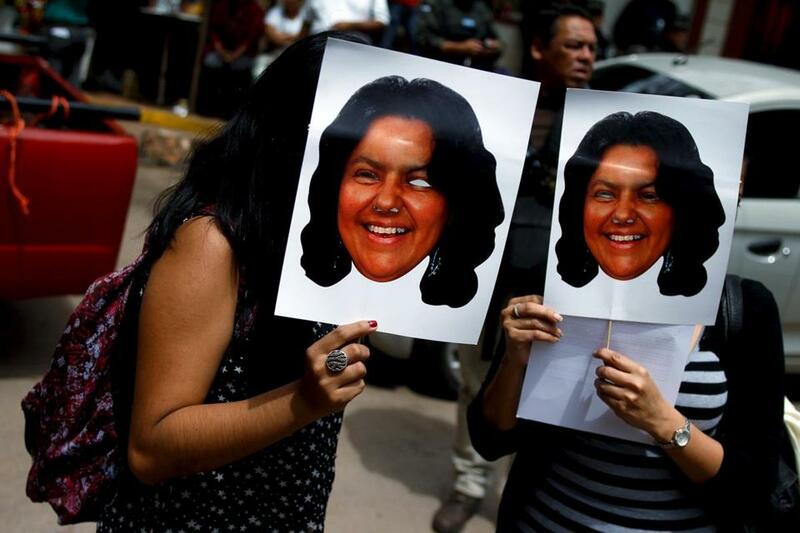 ‘‘Honduras has lost a brave and committed social activist,’’ Membreno said in a statement. The killing appeared to be targeted: A Mexican rights activist at the house was only slightly wounded in the attack, but Caceres’s body had four bullet wounds. Police said they had detained a suspect, but did not identify the person. Many of the project’s backers have largely abandoned building plans. Activists hold photos of slain environmental rights activist Berta Caceres during a protest outside the morgue in Tegucigalpa, Honduras. The London-based nonprofit group Global Witness calls Honduras ‘‘the most dangerous country per capita to be an environmental activist’’ in recent years, with 101 such advocates slain between 2010 and 2014. 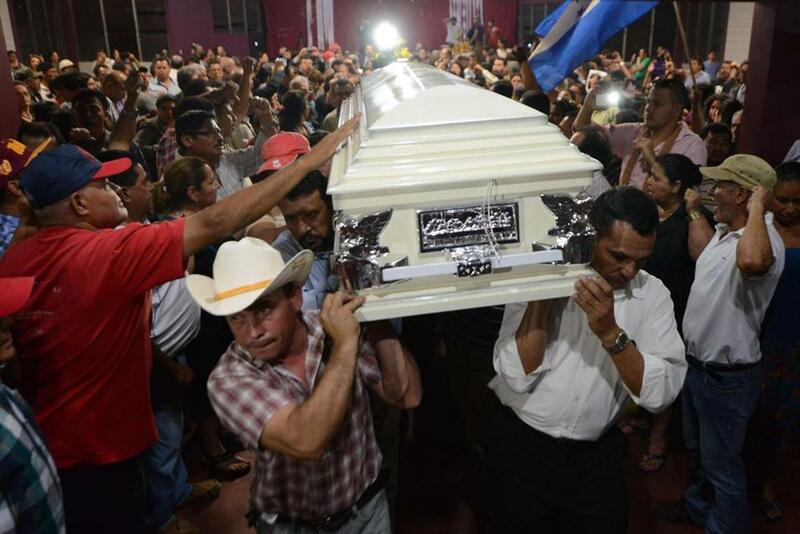 Later Thursday, the Honduran government said it was designating a commission of 12 experts to investigate Caderes’ killing. ‘‘For years, she had been the victim of a sustained campaign of harassment and threats to stop her from defending the rights of indigenous communities,’’ Guevara-Rosas said. 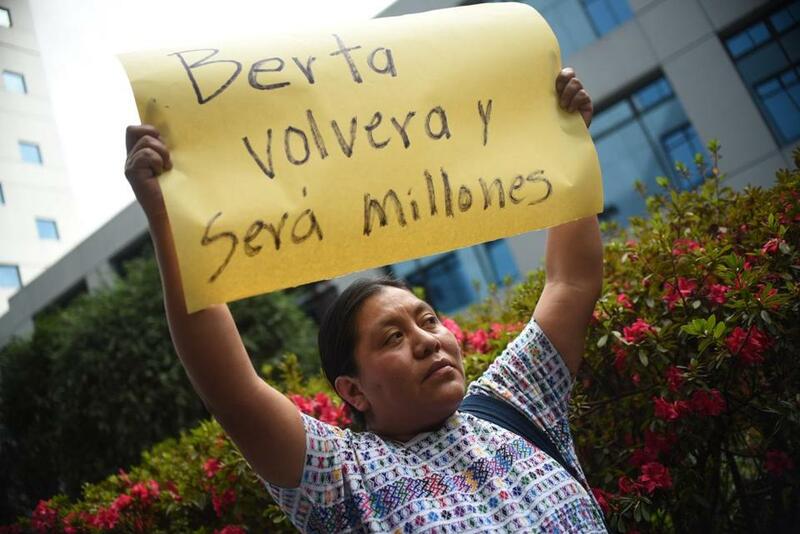 A protester held a sign that reads in Spanish “Berta will return and she will be millions” outside the embassy of Honduras in Guatemala.